Jubilee barge arrives at River Thames Jump to media player One of the highlights of the Queen's Diamond Jubilee weekend in June is the pageant of boats that will sail down the Thames. Decorating the Royal pageant barge Jump to media player Royal barge production designer Joseph Bennett explains the process for making gilded decorations for June's Diamond Jubilee river pageant. 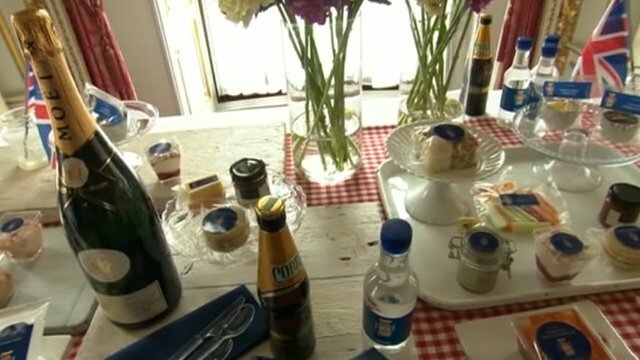 Picnic at the Palace for Jubilee Jump to media player The celebrity chef Heston Blumenthal has been showing off some of the culinary delights in his picnic, designed for those attending a Jubilee concert at Buckingham Palace. 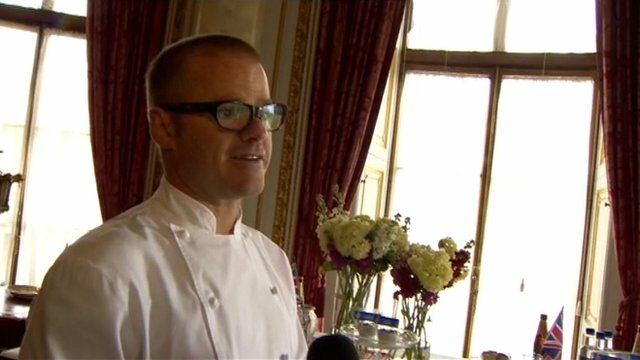 Blumenthal serves up Jubilee picnic Jump to media player Top chef Heston Blumenthal has designed the menu for the Diamond Jubilee picnic at Buckingham Palace in June. Here he talks the BBC's Luisa Baldini through the dishes guests can expect. 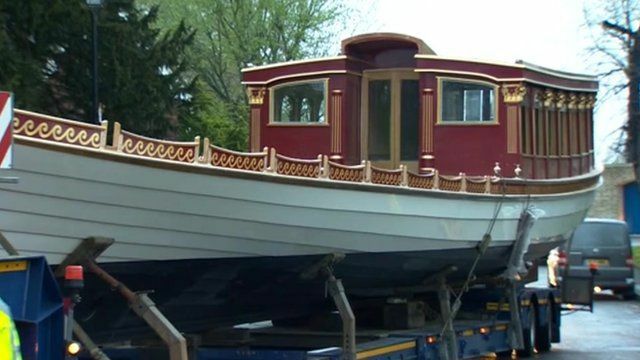 The Royal Rowbarge, which has been built for the Queen's Diamond Jubilee, is to be lowered onto the River Thames in London on Thursday. 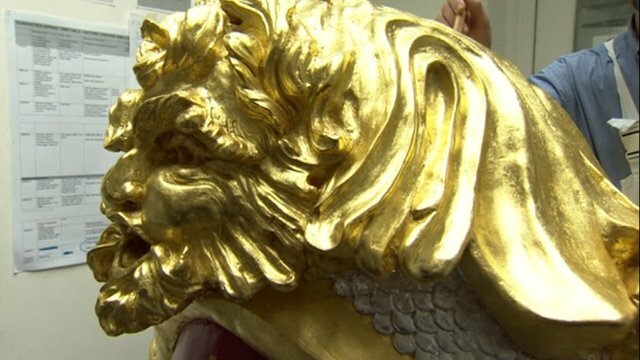 The Gloriana, which is being decorated with gold leaf, will lead the Jubilee River Pageant in June. Lord Sterling, from the Royal Rowbarge Project, told the BBC's Fiona Trott how the vessel will be completed over the coming days.